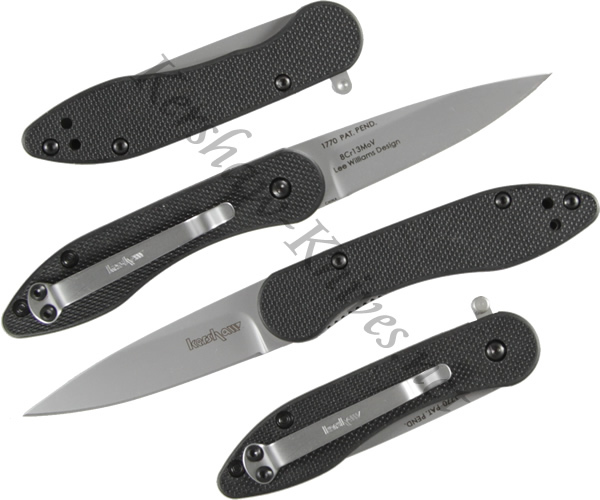 The Kershaw OD-2 1770 knife has a flipper that provides smooth, one-handed opening. Once the blade is opened and locked into place with the liner lock, the flipper disappears into the liner for a clean, uninterrupted line. The blade of the OD-2 is 8Cr13MoV steel, while the handle is constructed of glass reinforced nylon. This provides a stable, non-slip gripping surface. A pocket clip is included with the OD-2 1770.